Naturally step one will be getting to Paris, but as it’s relatively close to us in the UK and fairly well known we will leave that part to you. From Paris, cruise through the gentle hills of Champagne and Reims stopping off at the microstate of Luxembourg, where we would recommend visiting a few of the country’s many fairy-tale castles. From here head to Trier, a City Founded by the Celts in 400 BC making it Germany’s oldest city! The drive here from Luxembourg is only around an hour making for a pleasantly manageable journey. The city still houses ancient Roman baths which can be visited and have been exceptionally well maintained for their age. 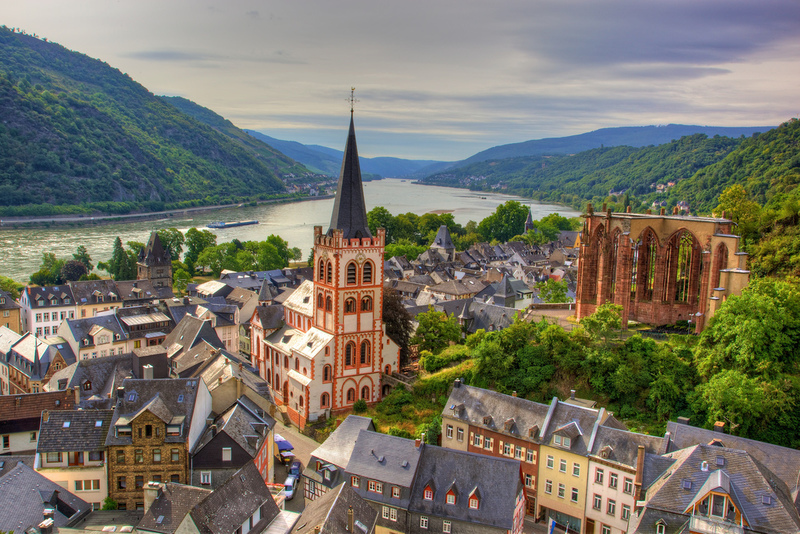 Fans of the grape will enjoy the next stage which is Spending a night in the medieval village of Bacharach, located in Riesling wine country! Make sure you do not indulge too heavily however as the next day can be spent meandering through the cozy streets of Heidelberg, many of which are scenicly located on the river. The next location is Nuremberg (the motorhome you’re in is unlikely to set a new record at the tracks though could be a novel experience), and then to Leipzig where you will likely get more than your average fix of classical music, Cold War history and cake. At this point you have the option of taking a Detour to Dresden on the way to the capital. The city was bombed heavily during WWII but has been beautifully restored. The grand finale before turning back is of course Berlin, a city that let’s face it needs no introduction. Duration of the trip: 1–2 weeks. Tips: Driving in France requires safety equipment (by law) This means a reflective vest and hazard signal. Furthermore, if you are driving in Paris it is important to take note of the new emissions laws. To read more about this check out our blog on France’s new sticker system. And of course make sure you keep some change handy for the occasional toll road. 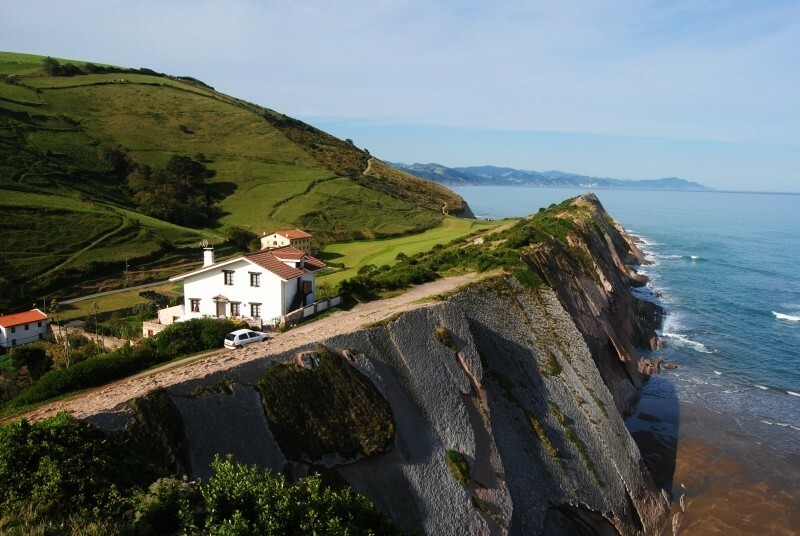 The first step is getting to Bilbao, which can be done from most airports in the UK. If you want to bring your own motorhome you can hop on the ferry in Portsmouth! Ah Bilbao! Something of a hub where you can head to one of the nearby villages to experience some of the world’s best surf! Driving east along the Atlantic coast to San Sebastian, a nirvana of great food and watersports. From here get ready for some beautiful scenery as you journey south through the sublime wilderness of the Pyrenees down to the city of Pamplona. Continue your ascent to the Roncesvalles Pass before you loop back to the coast. Alternatively, continue onwards to the attractive seaside resort of St-Jean-de-Luz driving along the majestic Bay of Biscay. If you have a bit more of a luxurious budget for this trip, we highly recommend spending a few days on the lush beaches in Biarritz. If the surf is the main objective of your trip, you should make a beeline for Hossegor, where you can make full use of the awesome swell. To polish off the trip, head to “the Pearl of the Aquitaine”, Bordeaux. There are a plethora of good wines and scenic walks for you to peruse along. This whole trip can be done in around a week, though you could get more surfing done with a slightly extended trip. Goboony Tips: Keep up to date with the surf forecast so that you can head to the right beaches to make the most of the swell, and of course do some research on the best beach campsites to stay at. The best place to start this trip is Braga (you can even drive here from Bilbao as it is also in the Northwest). From here journey south to gorgeous Guimarães, a the medieval town and UNESCO World Heritage site. Then it’s onward to the breathtaking "second-city" of Porto, though it's nothing less than first-rate. Drive east to Penafiel, set in a region ripe with vineyards steep valleys and gorgeous scenery. Another place to visit during this leg is Amarante, then you should get on the coastal road and enjoy a scenic journey to Figueira da Foz. From here your next destination is Peniche, followed by Ericeira and then the capital of Lisbon. This beautiful city is best to visit soon, as it has somehow managed to keep a relatively low profile given how ideal it is four holidaymakers. Affordable, brimming with culture and home to some of the best food in the world, it would be hard to find a reason not to put this city on your travel bucket list! Drive south Carrapateira, stopping at Sagres and Arrifana along the way. After getting a nice dose of sunshine, set up camp along the picturesque shore of the Algarve. The final stint of this road trip should be spent in dreamy Faro a beautiful mediterranean city. If you wanted to extend your trip beyond Portugal and even Europe, you can trundle over the border to Spain and take the ferry from Algeciras to Morocco. An unspoilt and original destination for a road trip, you could travel to the remote village of Merzouga, beyond which lies the vast expanses of the Sahara; a pretty breathtaking experience wouldn’t you say? 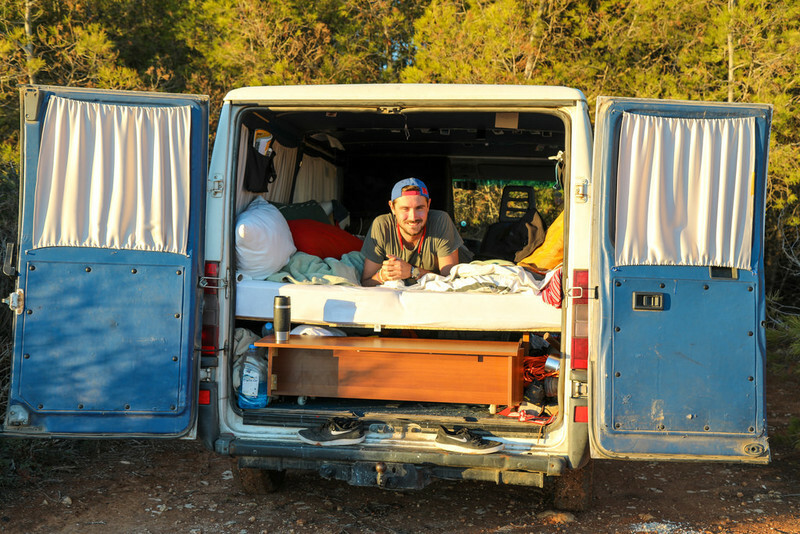 Insider tip: There are a plethora of free campsites in Portugal, making it a great place for an adventure with a relatively low budget.